The costs of juvenile incarceration extend well beyond dollars and cents. Higher rates of school dropout, increased physical and mental health needs, and lost earnings can contribute to a hefty price tag. A recent presentation at the Association for Public Policy Analysis and Management examined the academic costs of juvenile incarceration, using merged data from the New York City Department of Education and the New York City Department of Probation. The results show significant increases in days absent as well as school dropout, and decreases in credits attempted. To counteract these academic costs, the study underscores the need for juvenile justice and education systems to communicate and coordinate to ensure that youth leaving incarceration can enroll and engage in school. Juvenile courts rely heavily on probation as the primary alternative to youth incarceration. Yet research suggests probation does not meet the diverse needs of justice-involved youth. A new report examines ways to re-envision probation—as a focused intervention that promotes positive behavior change and long-term success for youth who pose public safety risks. The authors review how two jurisdictions—Lucas County, Ohio, and Pierce County, Washington—undertook probation transformation with technical assistance from the Annie E. Casey Foundation. The results suggest that diversion, case management, family and community engagement, and racial and ethnic equity and inclusion are critical for transforming juvenile probation successfully. High-profile incidents of police violence can translate into shifts in public perceptions of police and behavior. For example, sense of obligation to obey the law, perceived trustworthiness of the police, and perceptions of procedural justice can change. This policy essay in Criminology & Public Policy responds to an article examining how police brutality influences local residents. The authors explore three potential behavioral responses to high-profile incidents of police violence: (1) increased crime, as a result of increased disregard for the rule of law; (2) decreased crime reporting, as a result of distrust of police or increased fear of interactions with them; and (3) increased toxic stress levels in communities already burdened by disadvantage. They note the importance of accurately measuring shifts in public opinion and perceived legitimacy of law enforcement in the years ahead, as jurisdictions attempt to improve community–police relations and the overall efficacy of policing. High levels of crime can have a deleterious effect on a neighborhood. An article in the Journal of Urban Economics explores the role that neighborhood crime plays in community development. The authors look at how private investment in Chicago and Los Angeles neighborhoods shifted as the incidence of neighborhood crime declined city-wide in both places during the 2000s. The results suggest that crime-reduction policies can be an effective economic development tool, but only in certain neighborhoods facing specific circumstances. 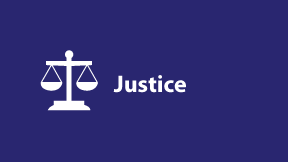 Read more about our partnerships to navigate the path to better education and employment outcomes, stronger family relationships, and enhanced health and financial supports for people involved with the justice system. Probation is the most frequently used disposition in juvenile court, and has become the primary alternative to youth incarceration in the past two decades. High-profile incidents of police violence can translate into shifts in public perceptions of police and behavior. For example, sense of obligation to obey the law, perceived trustworthiness of the police, and perceptions of procedural justice can change.